Find your lost Fitbit in seconds! Lost your Fitbit? Want some help to find it? Don't waste your precious time, download the app now! 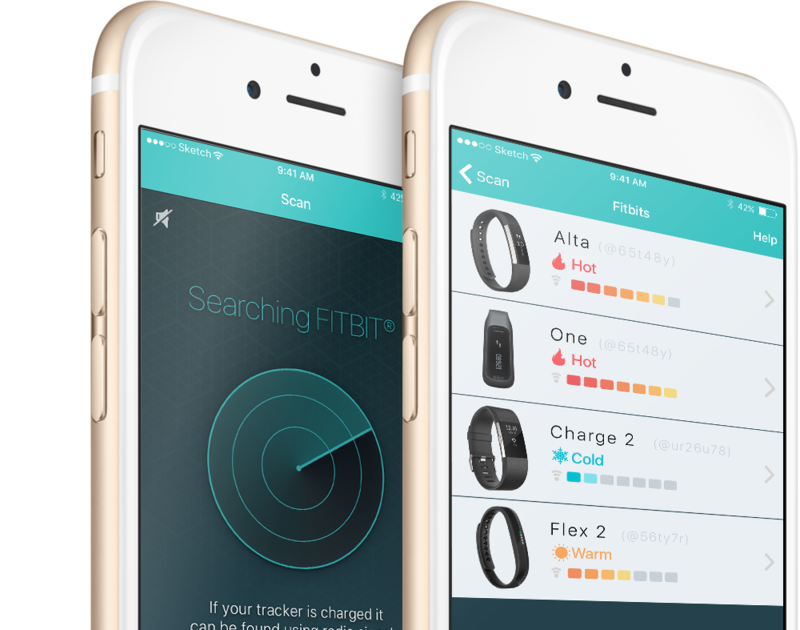 Our algorithm engineered specifically for Fitbits will help you find your device in a matter of a few minutes. Find your Fitbit before it's battery dies! Be always prepared for the worst. Never buy a Fitbit again. Make full use of your money. Fitbits are small and a daily part of your life, the chance are you are going to lose it even if you're careful. With our help you will never lose it. Your Fitbit or 100% REFUND! We are so sure you are going to find it that if our app does not help you find your Fitbit we will give you a FULL refund. ‍To information on how to ask for a refund please click here. As Fitbits users we share the pain of loosing an integral part of your daily routine. Every moment without your device is a lost oportunity to gather data that would be important for your well being and your ability to make accurate evaluation from all the information that you collect. We are here to help make sure that does not happen! Don't waste your time and be prepared! The battery from your lost Fitbit will not last forever, once it's gone you will need a miracle to find it. Don't waste time, try the app now and be always prepared to find your Fitbit whenever it's lost. Fitbit is a registered trademark and service mark of Fitbit, Inc. “Find for Fitbit” is designed for use with the Fitbit platform. This product is not put out by Fitbit, and Fitbit does not service or warrant the functionality of this product.